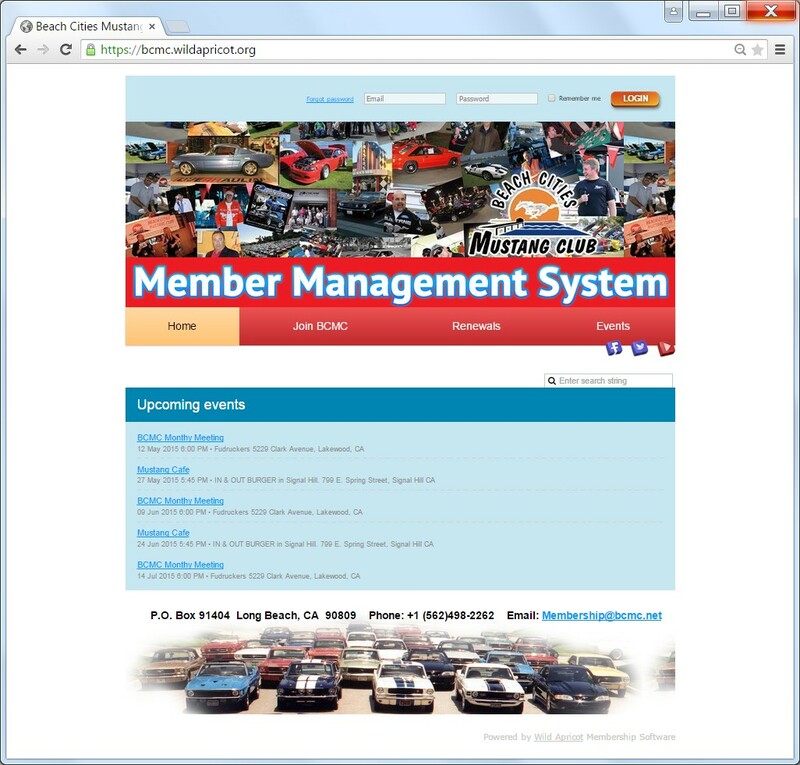 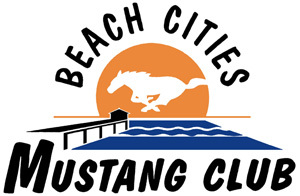 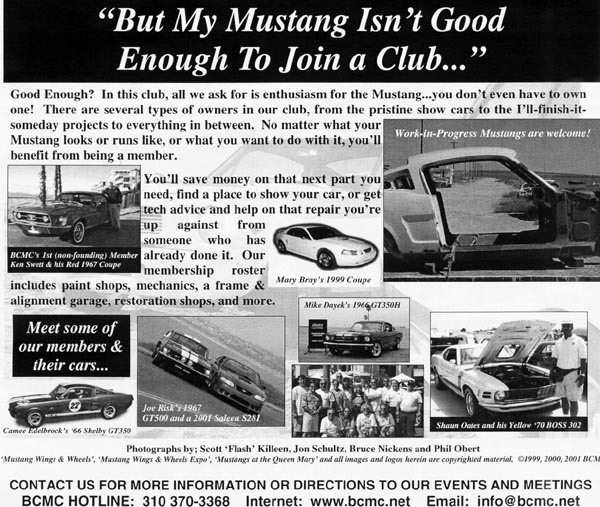 Official Web-site of the Beach Cities Mustang Club of Southern California....WELCOME! 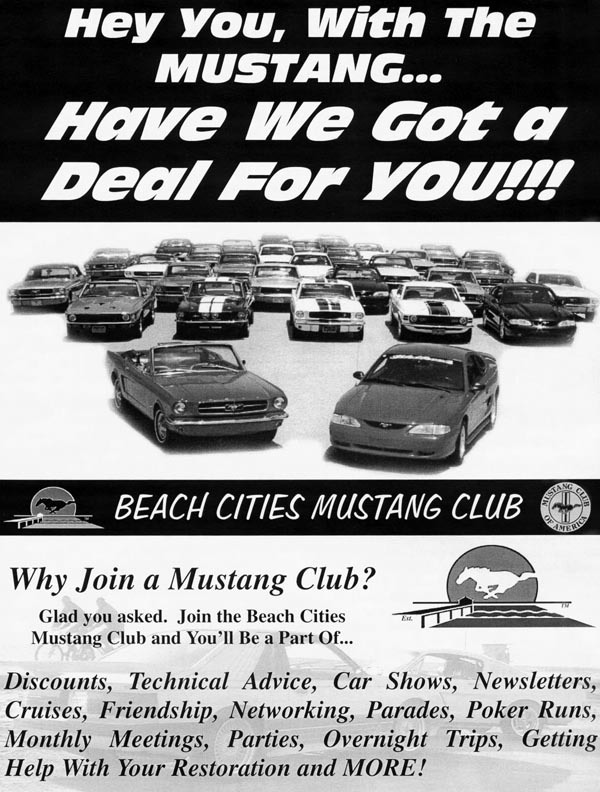 ... Mustang fanatics have visited this site since October 8, 2002!!! 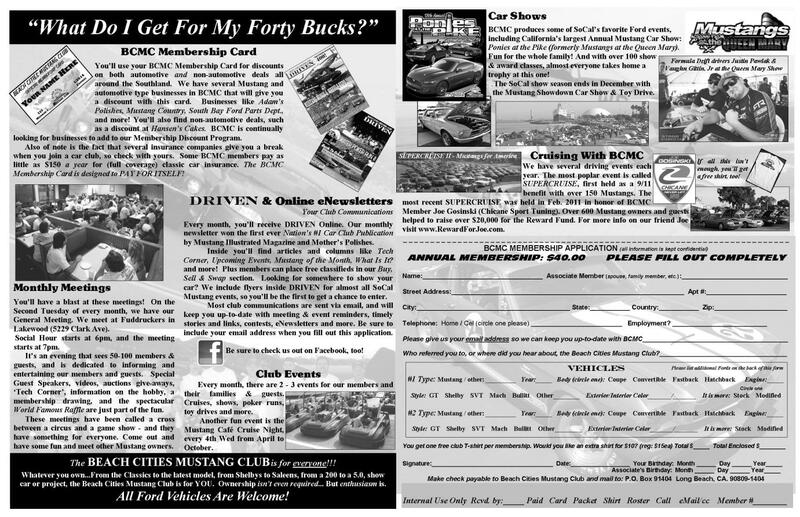 CLICK HERE to download/print BCMC Membership application!